Save $12.39 on Your Order with Advantage Today! OmegaRx 2 consists of purified oil from wild anchovies and sardines caught off the coast of Chile. With state-of-the-art manufacturing coupled with the science of Dr. Sears, OmegaRx 2 has become the leader in purity, potency, and freshness. OmegaRx 2 is a rich source of EPA and DHA, supplying one of the highest concentrations of omega-3s (75%) available in the consumer marketplace. This ensures you reap the greatest benefits from your omega-3 fish oil. Potency: Each serving of OmegaRx 2 (8 capsules) supplies 3000mg of EPA and DHA. 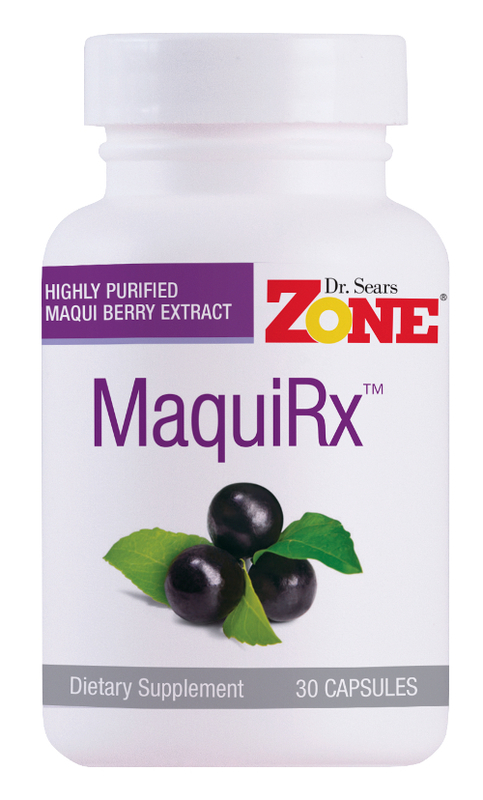 Freshness: Our proprietary antioxidant blend provides greater stability to protect OmegaRx 2 from oxidation. The TOTOX value, one measure of “freshness”, of each batch of OmegaRx 2 shows we have some of the freshest oil on the market to date. The Ideal 2:1 Ratio of EPA to DHA: Based on the research of Dr. Sears, OmegaRx 2 supplies the ideal ratio of EPA and DHA which has been clinically shown to cover the widest range of health benefits. Transparency: We think it’s important that you know the purity, potency, and freshness of OmegaRx 2 which is why we post the values of every lot of OmegaRx 2 post-production on our website. Leadership: Dr. Sears has dedicated more than 40 years of research on the impact of diet and omega-3s on inflammation and hormonal response. His scientific contributions have helped lead the omega-3 industry in the manufacturing, purification, and stabilization of high potency and purity omega-3 products. Value: OmegaRx 2 has one of the lowest cost per gram of EPA and DHA of any fish oil product on the market coupled with the highest purity standards for freshness. Suggested Use: Dr. Sears recommends individuals consume a minimum of 3000 mg of EPA and DHA daily for wellness. This recommendation is based on a wide body of published research. This amounts to eight (8) capsules daily with a meal. 30 servings per bottle. Micro-capsules are specially designed for people who prefer swallowing a smaller capsule. These are half the size of our regular capsules. Just like every individual is unique, the amount of omega-3s each individual is unique to them. To determine your optimal dose of OmegaRx 2 Fish Oil, use the Cellular Inflammation Kit to test your AA/EPA ratio and get your Cellular Inflammation Score. Your Score will tell you if you are taking enough omega-3 fish oil to maintain wellness. Omega-3 fatty acids are essential nutrients for human nutrition. Initially, it was thought that the primary need for omega-3 fatty acids was to help increase membrane fluidity especially in the brain. We now know their primary role is to resolve existing inflammation. The long-chain omega-3 fatty acids, EPA and DHA, are the building blocks for hormones called resolvins which are needed to resolve existing inflammation as well as accelerate the regeneration of new tissue. To get these benefits, you need adequate levels of omega-3 fatty acids in the blood. The Cellular Inflammation Test can determine the levels of omega-3 fatty acids in the blood required for optimal resolution of inflammation. The higher the score of this unique blood test, the more diet-induced inflammation is happening in the body. Diet-induced inflammation is one of the primary reasons why we gain weight, develop chronic disease, and age at a faster rate. The ideal Cellular Inflammation Score is between 1.5 and 3. For comparison, the average American has a Cellular Inflammation Score of 19 indicating a deficiency of EPA and DHA among Americans. This deficiency results in higher levels of cellular inflammation and chronic disease. Great product esp in 500 mg doses..price is fair..too. Always polite and professional service. be accessed by consumer, so consumer knows accurate quality. I’ve been taking these Omega 3 capsules for years. I did a little experiment and stopped taking them – will never make that mistake again. Which Zone Omega-3 is right for you? OmegaRx 2 Capsules Delivers Dr. Sears’ recommended amount of fish oil in one dosage of four convenient capsules with 25% stronger concentration than before, and 18x greater purity than international standards. OmegaRx 2 Microcapsules Identical concentration and purity as OmegaRx 2 capsules, but half the size, with the same quantity of servings per bottle. OmegaRx 2 Sport Capsules Identical purity as OmegaRx 2 capsules, but higher EPA content to help athletes with performance. Also contains GLA and toasted sesame oil to enhance the effect of EPA and DHA on muscle recovery. OmegaRx 2 Liquid Identical concentration and purity as OmegaRx 2 capsules, but designed for people who prefer a liquid fish oil. Liquid may also be easier to swallow for children. Why do you need Omega-3 fatty acids? Omega-3 fatty acids are the dietary building blocks to make powerful anti-inflammatory hormones. Without adequate levels of omega-3 fatty acids in the diet, cellular inflammation increases. Furthermore, they are critical for brain function. That’s why your grandmother told you that fish was brain food. Dr. Sears recommends at least 2.5 grams of EPA and DHA on a daily basis. Why not just eat more fish? To get the 2.5 grams of EPA & DHA omega-3 fatty acids Dr. Sears recommends, you would have to consume either (a) 7 pounds of lobster per day, or (b) 2 pounds of tuna fish per day, or (c) one-quarter of a pound of farm-raised salmon per day. Unfortunately, these sources are either too expensive (lobster) or have high levels of toxins (tuna and farm-raised salmon). This is why ultra-refined OmegaRx 2 is your best choice to get the 2.5 grams of omega-3 fatty acids for brain health and the reduction of cellular inflammation throughout your body at the lowest possible cost. Just 1 serving daily of OmegaRx 2 provides you with more than the recommended 2.5 grams of EPA & DHA omega-3 fatty acids. What are the primary toxins found in Omega-3 fatty acids? The primary toxins found in crude fish oil are mercury and PCBs. The mercury is easily removed since it binds to the protein and is easily separated in the initial purification. PCBs are extremely difficult to remove. Thus, the levels of PCBs in a fish-oil product are the true test of product purity. Dr. Sears makes PCB removal the #1 priority in his products. You can see in the following graph how his standards compare to others in the fish-oil industry. Purity counts when choosing Omega-3 fatty acids. The OmegaRx® brand is your guarantee of purity and potency. Purity comes from maintaining the lowest levels of PCBs possible in a fish-oil product. It makes no sense to purchase any fish oil that is not extremely low in PCBs since once they enter your body, they are not coming out. Potency is based on the actual amount of EPA and DHA in the oil. Your best purchase decision is when both are optimized. 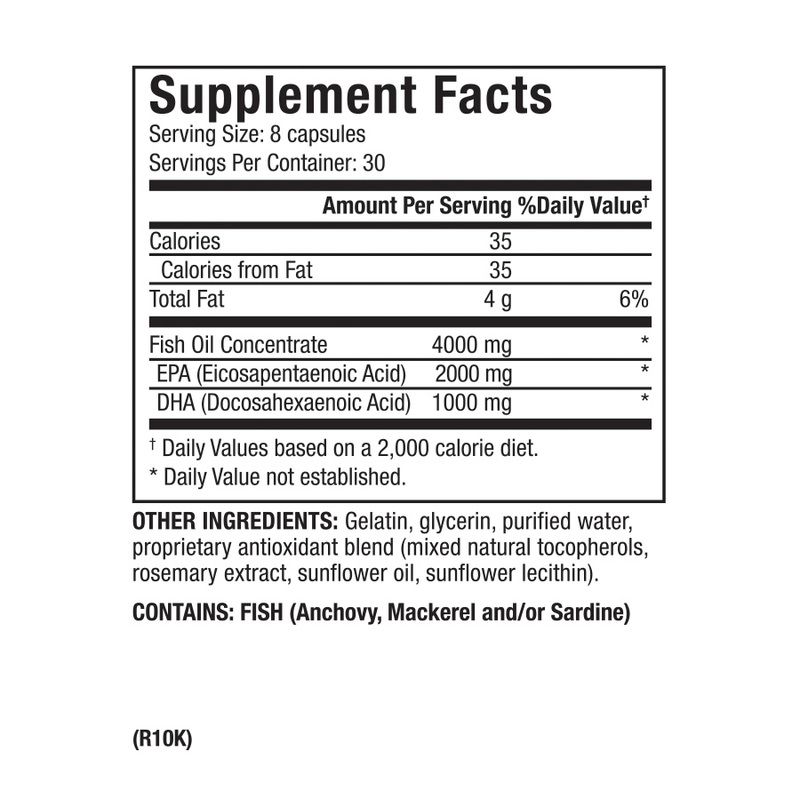 What You Need To Know About Fish Oil Purity. Although none of the marketing companies of the three primary brands (OmegaRx, Ultimate Omega, and Lovaza) of omega-3 products actually makes its own fish oil products, companies do set standards for raw materials they use for those products they sell. The more you know about these standards, the better the product choice you can make for yourself. All omega-3 fatty-acid concentrate products come from the same source, anchovies and sardines off the coasts of Peru and Chile. What separates the quality of fish oil are the purity and potency of the final products that can be quantified by the following tests. All omega-3 fatty acid products derived from fish oil will contain PCBs. To state otherwise is simply false. The question is the levels of PCBs in the finished product. The lower the levels of PCBs in a product, the higher the purity. 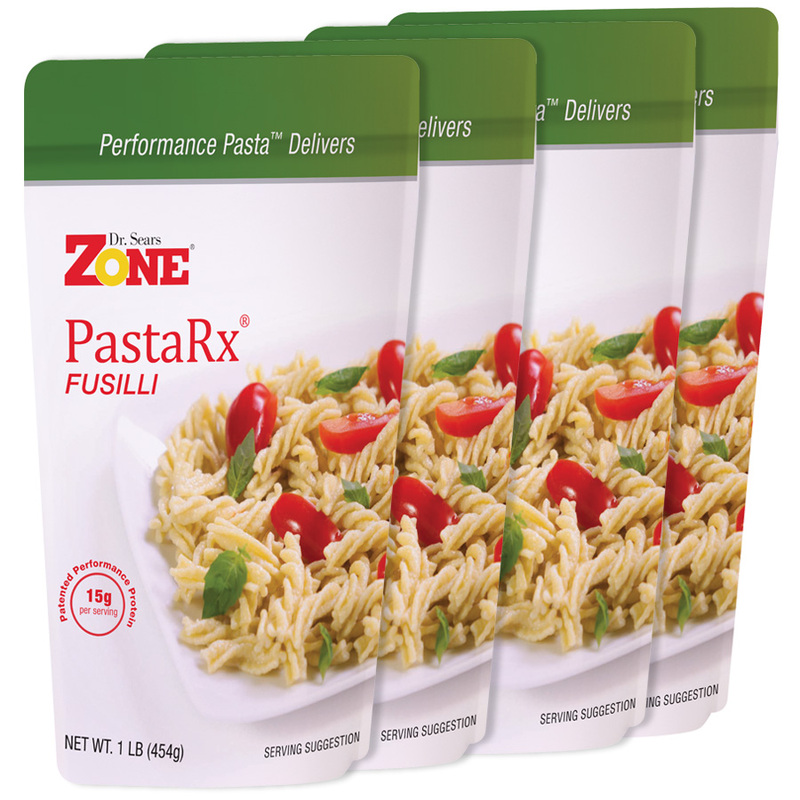 Unlike other brands, Zone Labs has the strictest standards in the industry for the omega-3 products it uses. The international standard for the upper limit of PCBs is 90 parts per billion (ppb). That is fine for a health- food-grade product, but not for a professional grade. At Zone Labs our upper limit for PCBs is 5 ppb, which is 18 times more rigid than commonly used international standards. However, PCB levels will vary from lot to lot. This is why Zone Labs is the only company of the three major brands that posts the levels of PCBs on each lot of its omega-3 products on its Website for all to see. Testing for PCBs is expensive, but it is your guarantee of our commitment to product excellence and purity. Omega-3 concentrates are very prone to oxidation. Even after they are bottled or put into soft gelatin capsules, oxidation of the omega-3 fatty acids will continue. The World Health Organization (WHO) has developed strict standards to determine whether or not any edible oil is rancid and, therefore, whether it is suitable for human consumption. That standard is based on Total Oxidation (Totox) levels in the product actually being used. This is a rigid standard that governs all edible oil trading in the world. Since omega-3 fatty acid are exceptionally prone to oxidation, Zone Labs is the only company that posts the Totox levels on the finished product (not the raw materials) for every lot of omega-3 fatty acid product we make. Like PCB and Totox levels, the levels of the omega-3 fatty acids EPA and DHA are key to your ability to reduce diet-induced inflammation. That’s why Zone Labs is the only company to post the levels of EPA and DHA in every lot of omega-3 products we sell to ensure product consistency. More importantly, we also offer a fatty-acid testing service through Zone Diagnostics (www.zonediagnostics.com) that allows you to determine the actual amount of omega-3 fatty acids you require to help manage your levels of diet-induced inflammation. This means actually doing the research and publishing the results, not just supplying products. Zone Labs is the only company that sets aside a percentage of its product sales for continuing clinical research by the non-profit Inflammation Research Foundation. No other company has such a commitment to omega-3 fatty- acid clinical research. 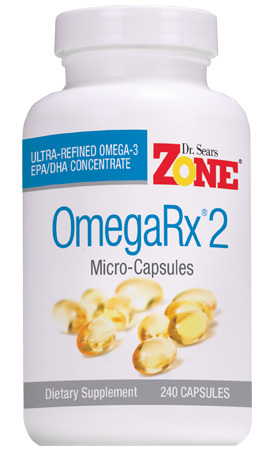 Zone Labs is also the only company headed by a leading medical researcher in the area of omega-3 fatty-acids. The management of diet-induced inflammation requires the appropriate orchestration of the high-purity omega-3 fatty acids, adequate levels of polyphenols to protect the omega-3 fatty acids from oxidation in the body, and maintaining an anti-inflammatory diet to prevent the build-up of diet-induced inflammation. Zone Labs is the only company that offers a complete anti-inflammatory nutrition program for you. That’s why Zone Labs is the leader in anti-inflammation nutrition through our commitment to Evidence-Based Wellness®. How do you know if you are taking enough OmegaRx® to make a difference? Even taking OmegaRx® 2 will not make a significant difference unless you are taking enough. That’s why we say “test, don’t guess”. Using our Cellular Inflammation Test Kit, you can determine if you are taking the right levels OmegaRx® 2 that you need to reduce your levels of cellular inflammation. We test every lot of finished product and post the results of every report because our consumers deserve to know what they’re taking. There might be 5-star fish oils, but there is only one 6-star: that’s OmegaRx. To have Dr. Sears’ name on every bottle, it has to meet his strict standards for concentration, purity and stability. See how our fish oils measure up.